Classic suede women's loafer embroidered with your custom monogram or design suitable for all occasions ranging from the office to evening events. 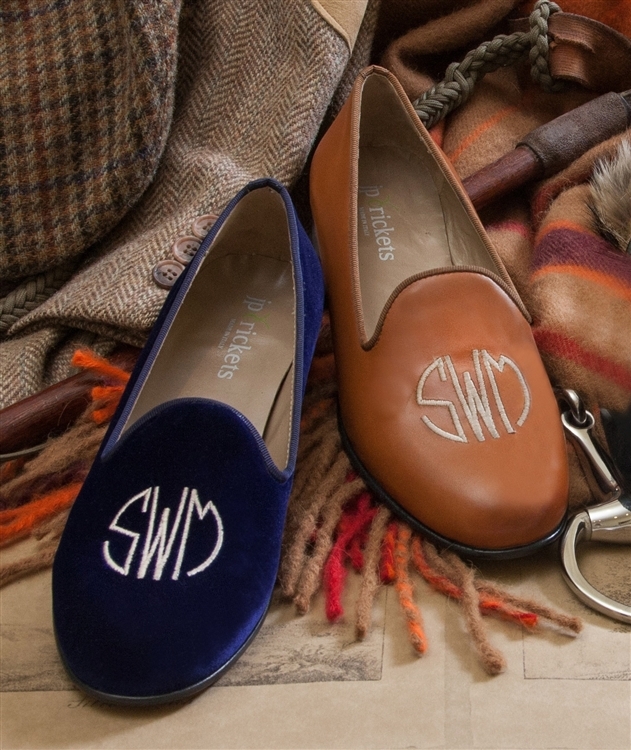 Create your personal monogram on an Italian velvet suede or linen shoe. Choose from our selection of Monogram styles available or your custom design. To choose thread color, click on the tab "Thread Color Numbers." You will be redirected to a new page to choose your thread color. From that page, click on one of the COLOR CARD CLASSIC 429/2010 swatches to choose your specific thread color. The card will enlarge, and you will see a number code next to each color. Type the number code of your choice in the thread color box above.